At Grovedale College we offer a strong academic environment..
Grovedale provides specialist sports coaching, leadership and initiative training..
Enrolment of students into the college is set out by DEECD guidelines.. Welcome to the Grovedale College website. 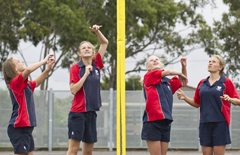 Grovedale College is located in a semi-rural setting serving the southern suburbs of Geelong, together with the rural and surf coast communities to the south, east and west. Students at Grovedale College in Geelong now have access to exciting new learning spaces including an arts/technology complex and a multimedia/music centre. These environments encourage participative learning so that students and teachers can work together and inspire each other. 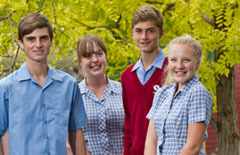 Grovedale College provides students with a vibrant and comprehensive curriculum as well as offering them the opportunity to participate in a wide range of activities including debating, chess, Tournament of the Minds, the State School Spectacular, sporting opportunities, the Arts Festival and an overseas language experience. 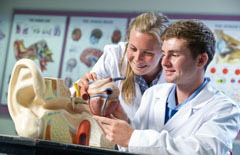 The medium size College provides students every opportunity to excel in their chosen area of study, and to explore and develop skills that will equip them for life-long learning. Click Here for More.